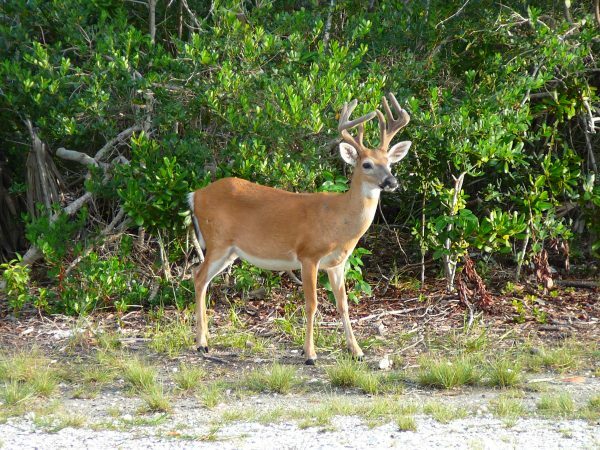 A rare deer parasite has cropped up in the Florida Keys that biologists haven’t seen in the United States for decades. Known as New World screwworm, the parasite is caused by flies that lay eggs in the open wounds of animals, but this particular variety was thought to be eradicated in the 1970s. Officials on a preserve in the Florida Keys that manage a herd of the diminutive species called key deer started noticing the grotesque wounds in July. Since then, the parasite has killed 132 animals, roughly 15 percent of the remaining population. While the threat to deer is grave, the possibility that the screwworm could spread to the estimated 1 million head of livestock in Florida is extremely concerning. From the 1930s to 50s, screwworm caused some $20 million per year in loss of livestock, according to the Times. Authorities in Florida have responded by issuing an animal quarantine emergency in October. They are also working to eradicate the screwworm by releasing flies sterilized by radiation. So far it looks like their efforts might be working. The last time screwworm took hold it took 50 years to eliminate.